Adventure. With her debut novel titled, The City of Brass, S.A. Chakraborty begins a series titled, The Daevabad Trilogy. Fans of adventure fantasy novels will find protagonist Nahri as a delightful character, full of magic and mischief. The world Chakraborty creates has a complicated history and lots of long-held resentments among different groups. Nahri finds herself in the middle of conflicts, and on an exciting adventure at the center of power. She has learned to be a healer, and her special skills are on display in many different contexts. Readers who enjoy big fantasy books with interesting stories should consider starting this trilogy and joining in the ongoing adventure. 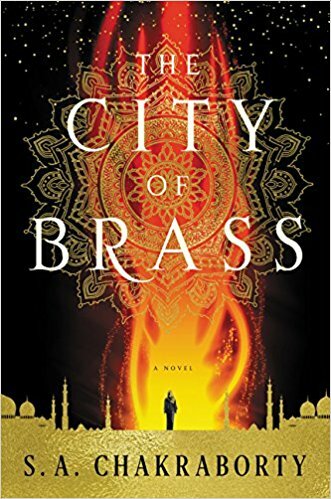 Rating: Four-star (I like it) Click here to purchase The City of Brass from amazon.com.